Loopholes, loopholes loopholes — it’s all about the loopholes. So says this one small business article about the ease of fraud from contractors looking to gain an advantage on government work! Loopholes, indeed. This, of course, may have been an issue only a few years ago. 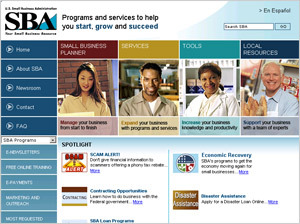 Federal programs in the Small Business Administration made it easy for small companies to earn plenty of government work. The problem was the fact that contractors could take advantage of it. How? By claiming an office when there really, well, physically wasn’t! I know it seems sort of trivial, and the reality is a contractor can’t legitimately claim any sort of office — but that’s the name of the game. There’s no way around it. Bottom line: stick to your demographic, your niche. There’s no reason to take advantage of certain programs for the sake of better business for yourself. That’s the point of the SBA’s challenge to keep a close eye on the programs and whether or not ‘companies’ masquerading as, well, companies are getting an unfair advantage. 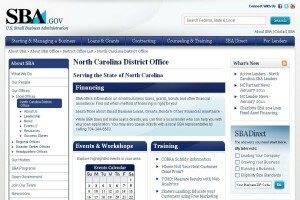 Can the SBA Move From Catching the Frauds to Simply Helping the Entrepreneur? Hopefully. As always, though, there’s a loophole. And maybe the government needs to accept that. No matter how you slice it, small businesses out there need programs to help them get on their feet. We can tailor the guidelines, stipulations, policies, qualifications, yadda yadda yadda. Sadly, though, someone out there’s going to find a way to get in on the goods. It’s just going to be the SBA’s job to look out for those ‘bad guys’!